The importance of reproducibility in computational science is being more and more recognized, which I think is a good sign. However, I also notice a lot of confusion about what reproducibility means exactly, and also confusion about the difference (if any) between reproducibility and replicability. I don’t see a consensus yet about the exact meaning of these terms, but I would like to give my own definitions and justify them by putting them into the general context of computational science. I’ll start with the concept of reproducibility as it was used in science long before computers even existed. It refers to the reproducibility of the conclusions of a scientific study. These conclusions can take very different forms depending on the question that was being explored. It can be a simple “yes” or “no”, e.g. in answering questions such as “Is the gravitational force acting in this stone the same everywhere on the Earth’s surface?” or “Does ligand A bind more strongly to protein X than ligand B?” It can also be a number, as in “What is the lattice energy of NaCl?”, or a mathematical function, as in “How does a spring’s restoring force vary with elongation?” Any such result should come with an estimation of its precision, such as an error bar on numbers, or a reliability estimate for a yes/no answer. Reproducing a scientific conclusion means finding a “close enough” answer by performing “similar” experiments and analyses. As the terms “close enough” and “similar” show, reproducibility involves human judgement, which may well evolve over time. Reproducibility is thus not an absolute feature of a specific result, but the evaluation of a result in the context of the current state of knowledge and technology in a scientific domain. 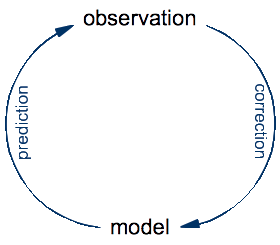 Every attempt to reproduce a given result independently (different people, tools, methods, …) augments scientific knowledge: If the reproduction leads to a “close enough” results, it provides information about the precision with which the results can be obtained, and if if doesn’t, it points to some previously unrecognized crucial difference between the two experiments, which can then be explored. Replication refers to something much more specific: repeating the exact steps in an experiment using the same (or equivalent) equipment, and comparing the outcomes. Replication is part of testing an experimental setup, or a form of quality assurance. If I measure the same quantity ten times using the same equipment and experimental samples, and get ten slightly different values, then I can use these numbers to estimate the precision of my equipment. If that precision is not sufficient for the purposes of my planned scientific study, then the equipment is not suitable. It is useful to describe the process of doing research by a two-layer model. The fundamental layer is the technology layer: equipment and procedures that are well understood and whose precision is known from many replication attempts. On top of this, there is the research layer: the well-understood equipment is used in order to obtain new scientific information and draw conclusions from them. Any scientific project aims at improving one or the other layer, but not both at the same time. When you want to get new scientific knowledge, you use trusted equipment and procedures. When you want to improve the equipment or the procedures, you do so by doing test measurements on well-known systems. Reproducibility is a concept of the research layer, replicability belongs to the technology layer. Ideally, the non-replicability should be eliminated, but at the very least its cause should be understood. This turns out to be very difficult in practice, in today’s computing environments, essentially because case 4 is frequent and hard to avoid (today’s popular programming languages are ambiguous), and because case 4 makes it impossible to identify cases 2 and 3 with certainty. I see this as a symptom of the immaturity of today’s computing environments, which the computational science community should aim to improve on. The technology for removing case 4 exists. The keyword is “formal methods”, and there are first attempts to apply them to scientific computing, but this remains an exotic approach for now. As in experimental science, reproducibility belongs to the research layer and cannot be guaranteed or verified by any technology. In fact, the “reproducible research” movement is really about replicability – which is perhaps one reason for the above-mentioned confusion. There is at the moment significant disagreement about the importance of replicability. At one end of the spectrum, there is for example Ian Gent’s recomputation manifesto, which stresses the importance of replicability (which in the context of computational science he calls recomputability) because building on past work is possible only if it can be replicated as a first step. At the other end, Chris Drummond argues that replicability is “not worth having” because it doesn’t contribute much to the real goal, which is reprodcucibility. It is worth reading both of these papers, because they both do a very good job at explaining their arguments. There is actually no contradiction between the two lines of arguments, the different conclusions are due to different criteria being applied: Chris Drummond sees replicability as valuable only if it improves reproducibility (which indeed it doesn’t), whereas Ian Gent sees value in it for a completely different reason: it makes future research more efficient. Neither one mentions the main point in favor of replicability that I have made above: that replicability is a form of quality assurance and thus increases trust in published results. It is probably a coincidence that both of the papers cited above use the term “computational experiment”, which I think should best be avoided in this context. In the natural sciences, the term “experiment” traditionally refers to constructing a setup to observe nature, which makes experiments the ultimate source of truth in science. Computations do not have this status at all: they are applications of theoretical models, which are always imperfect. In fact, there is an interesting duality between the two: experiments are imperfect observations of the ultimate truth, whereas computations are, in the absence of buggy or ambiguous software, perfect observations of the consequences of imperfect models. Using the same term for these two concepts is a source of confusion, as I have pointed out earlier. This fundamental difference between experiments and computations also means that replicability has a different status in experimental and computational science. When doing imperfect observations of nature, evaluating replicability is one aspect of evaluating the imperfection of the observation. Perfect observation is impossible, both due to technological limitations and for fundamental reasons (any observation modifies what is being observed). On the other hand, when computing the consequences of imperfect models, replicability does not measure the imperfections of the model, but the imperfections of the computation, which can theoretically be eliminated. The main source of imperfections in computations is the complexity of computer software (considering the whole software stack, from the operating system to the scientific software). At this time, it is not clear if we will ever succeed in taming this complexity. Our current digital computers are chaotic systems, in which even the tiniest change (flipping a bit in memory, or replacing a single character in a program source code file) can change the result of a computation beyond any bounds. Chaotic behavior is clearly an undesirable feature in any scientific equipment (I can’t think of any experimental apparatus suffering from it), but for computation we currently have no other choice. This makes quality assurance techniques, including replicability but also more standard software engineering practices such as unit testing, all the more important if we want computational results to be trustworthy. Over the last few months I have been exploring the Racket language for its potential as a language for computational science, and it’s time to summarize my first impressions. There are essentially two reasons for learning a programing language: (1) getting acquainted with a new tool that promises to get some job done better than with other tools, and (2) learning about other approaches to computing and programming. My interest in Racket was driven by a combination of these two aspects. My background is in computational science (phsyics, chemistry, and structural biology), so I use computation extensively in my work. Like most computational scientists of my generation, I started working in Fortran, but quickly found this unsatisfactory. Looking for a better way to do computational science, I discovered Python in 1994 and joined the Matrix-SIG that developed what is now known as NumPy. Since then, Python has become my main programming language, and the ecosystem for scientific computing in Python has flourished to a degree unimaginable twenty years ago. For doing computational science, Python is one of the top choices today. However, we shouldn’t forget that we are still living in the stone age of computational science. Fortran was the Paleolithic, Python is the Neolithic, but we have to move on. I am convinced that computing will become as much an integral part of doing science as mathematics, but we are not there yet. One important aspect has not evolved since the beginnings of scientific computing in the 1950s: the work of a computational scientist is dominated by the technicalities of computing, rather than by the scientific concerns. We write, debug, optimize, and extend software, port it to new machines and operating systems, install messy software stacks, convert file formats, etc. These technical aspects, which are mostly unrelated to doing science, take so much of our time and attention that we think less and less about why we do a specific computation, how it fits into more general theoretical frameworks, how we can verify its soundness, and how we can improve the scientific models that underly our computations. Compare this to how theoreticians in a field like physics or chemistry use mathematics: they have acquired most of their knowledge and expertise in mathematics during their studies, and spend much more time applying mathematics to do science than worrying about the intrinsic problems of mathematics. Computing should one day have the same role. For a more detailed description of what I am aiming at, see my recent article. This lengthy foreword was necessary to explain what I am looking for in Racket: not so much another language for doing today’s computational science (Python is a better choice for that, if only for its well-developed ecosystem), but as an evironment for developing tomorrow’s computational science. The Racket Web site opens with the title “A programmable programming language”, and that is exactly the aspect of Racket that I am most interested in. There are two more features of Racket that I found particularly attractive. First, it is one of the few languages that have good support for immutable data structures without being extremist about it. Mutable state is the most important cause of bugs in my experience (see my article on “Managing State” for details), and I fully agree with Clojure’s Rich Hickey who says that “immutability is the right default”. Racket has all the basic data structures in a mutable and an immutable variant, which provides a nice environment to try “going immutable” in practice. Second, there is a statically typed dialect called Typed Racket which promises a straightforward transition from fast prototyping in plain Racket to type-safe and more efficient production code in Typed Racket. I haven’t looked at this yet, so I won’t say any more about it. For readers unfamiliar with Racket, I’ll give a quick overview of the language. It’s part of the Lisp family, more precisely a derivative of Scheme. In fact, Racket was formerly known as “PLT Scheme”, but its authors decided that it had diverged sufficiently from Scheme to give it a different name. People familiar with Scheme will still recognize much of the language, but some changes are quite profound, such as the fact that lists are immutable. There are also many extensions not found in standard Scheme implementations. The hallmark of the Lisp family is that programs are defined in terms of data structures rather than in terms of a text-based syntax. The most visible consequence is a rather peculiar visual aspect, which is dominated by parentheses. The more profound implication, and in fact the motivation for this uncommon choice, is the equivalence of code and data. Program execution in Lisp is nothing but interpretation of a data structure. It is possible, and common practice, to construct data structures programmatically and then evaluate them. The most frequent use of this characteristic is writing macros (which can be seen as code preprocessors) to effectively extend the language with new features. In that sense, all members of the Lisp family are “programmable programming languages”. However, Racket takes this approach to another level. Whereas traditional Lisp macros are small code preprocessors, Racket’s macro system feels more like a programming API for the compiler. In fact, much of Racket is implemented in terms of Racket macros. Racket also provides a way to define a complete new language in terms of existing bits and pieces (see the paper “Languages as libraries” for an in-depth discussion of this philosophy). Racket can be seen as a construction kit for languages that are by design interoperable, making it feasible to define highly specific languages for some application domain and yet use it in combination with a general-purpose language. Another particularity of Racket is its origin: it is developed by a network of academic research groups, who use it as tool for their own research (much of which is related to programming languages), and as a medium for teaching. However, contrary to most programming languages developed in the academic world, Racket is developed for use in the “real world” as well. There is documentation, learning aids, development tools, and the members of the core development team are always ready to answer questions on the Racket user mailing list. This mixed academic-application strategy is of interest for both sides: researchers get feedback on the utility of their ideas and developments, and application programmers get quick access to new technology. I am aware of only three other languages developed in a similar context: OCaml, Haskell, and Scala. A first look at the Racket Guide (an extended tutorial) and the Racket Reference shows that Racket is not a small language: there is a bewildering variety of data types, control structures, abstraction techniques, program structuration methods, and so on. Racket is a very comprehensive language that allows both fine-tuning and large-scale composition. It definitely doesn’t fit into the popular “low-level” vs. “high-level” dichotomy. For the experienced programmer, this is good news: whatever technique you know to be good for the task at hand is probably supported by Racket. For students of software development, it’s probably easy to get lost. Racket comes with several subsets developed for pedagogical purposes, which are used in courses and textbooks, but I didn’t look at those. What I describe here is the “standard” Racket language. Racket comes with its own development environment called “DrRacket”. It looks quite poweful, but I won’t say more about it because I haven’t used it much. I use too many languages to be interested in any language-specific environment. Instead, I use Emacs for everything, with Geiser for Racket development. The documentation is complete, precise, and well presented, including a pleasant visual layout. But it is not always an easy read. Be prepared to read through some background material before understanding all the details in the reference documentation of some function you are interested in. It can be frustrating sometimes, but I have never been disappointed: you do find everything you need to know if you just keep on following links. My personal project for learning Racket is an implementation of the MOSAIC data model for molecular simulations. While my implementation is not yet complete (it supports only two kinds of data items, universes and configurations), it has data structure definitions, I/O to and from XML, data validation code, and contains a test suite for everything. It uses some advanced Racket features such as generators and interfaces, not so much out of necessity but because I wanted to play with them. Overall I had few surprises during my first Racket project. As I already said, finding what you need in the documentation takes a lot of time initially, mostly because there is so much to look at. But once you find the construct you are looking for, it does what you expect and often more. I remember only one ongoing source of frustration: the multitude of specialized data structures, which force you to make choices you often don’t really care about, and to insert conversion functions when function A returns a data structure that isn’t exactly the one that function B expects to get. As an illustration, consider the Racket equivalent of Python dictionaries, hash tables. They come in a mutable and an immutable variant, each of which can use one of three different equality tests. It’s certainly nice to have that flexibility when you need it, but when you don’t, you don’t want to have to read about all those details either. As for Racket’s warts, I ran into two of them. First, the worst supported data structure in Racket must be the immutable vector, which is so frustrating to work with (every operation on an immutable vector returns a mutable vector, which has to be manually converted back to an immutable vector) that I ended up switching to lists instead, which are immutable by default. Second, the distinction (and obligatory conversion) between lists, streams, generators and a somewhat unclear sequence abstraction makes you long for the simplicity of a single sequence interface as found in Python or Clojure. In Racket, you can decompose a list into head and tail using first and rest. The same operations on a stream are stream-first and stream-rest. The sequence abstraction, which covers both lists and streams and more, has sequence-tail for the tail, but to the best of my knowledge nothing for getting the first element, other than the somewhat heavy (for/first ([element sequence]) element). The macro requirements of my first project were modest, not exceeding what any competent Lisp programmer would easily do using defmacro (which, BTW, exists in Racket for compatibility even though its use is discouraged). Nevertheless, in the spirit of my exploration, I tried all three levels of Racket’s hygienic macro definitions: syntax-rule, syntax-case, and syntax-parse, in order of increasing power and complexity. The first, syntax-rule is straightforward but limited. The last one, syntax-parse, is the one you want for implementing industrial-strength compiler extensions. I don’t quite see the need for the middle one, syntax-case, so I suppose it’s there for historical reasons, being older than syntax-parse. Macros are the one aspect of Racket for which I recommend starting with something else than the Racket documentation: Greg Hendershott’s Fear of Macros is a much more accessible introduction. As I said in the beginning of this post, my goal in exploring Racket was not to use it for my day-to-day work in computational science, but nevertheless I had a look at the support for scientific computing that Racket offers. In summary, there isn’t much, but what there is looks very good. The basic Racket language has good support for numerical computation, much of which is inherited from Scheme. There are integers of arbitrary size, rational numbers, and floating-point numbers (single and double precision), all with the usual operations. There are also complex numbers whose real/imaginary parts can be exact (integer or rational) or inexact (floats). Unlimited-precision floats are provided by an interface to MPFR in the Racket math library. The math library (which is part of every standard Racket installation) offers many more goodies: multidimensional arrays, linear algebra, Fourier transforms, special functions, probability distributions, statistics, etc. The plot library, also in the standard Racket installation, adds one of the nicest collections of plotting and visualization routines that I have seen in any language. If you use DrRacket, you can even rotate 3D scenes interactively, a feature that I found quite useful when I used (abused?) plots for molecular visualization. Outside of the Racket distribution, the only library I could find for scientific applications is Doug Williams’ “science collection“, which predates the Racket math library. It looks quite good as well, but I didn’t find an occasion yet for using it. Could I do my current day-to-day computations with Racket? A better way to put it is, how much support code would I have to write that is readily available for more mature scientific languages such as Python? What I miss most is access to my data in HDF5 and netCDF formats. And the domain-specific code for molecular simulation, i.e. the equivalent of my own Molecular Modeling Toolkit. Porting the latter to Racket would be doable (I wrote it myself, so I am familiar with all the algorithms and its pitfalls), and would in fact be an opportunity to improve many details. But interfacing HDF5 or netCDF sounds like a lot of work with no intrinsic interest, at least to me. Racket has an apparently small but active, competent, and friendly community. I say “apparently” because all I have to base my judgement on is the Racket user mailing list. Given Racket’s academic and teaching background, it is quite possible that there are lots of students using Racket who find sufficient support locally that they never manifest themselves on the mailing list. Asking a question on the mailing list almost certainly leads to a competent answer, sometimes from one of the core developers, many of whom are very present. There are clearly many Racket beginners (and also programming newbies) on the list, but compared to other programming language users’ lists, there are very few naive questions and comments. It seems like people who get into Racket are serious about programming and are aware that problems they encounter are most probably due to their lack of experience rathen than caused by bugs or bad design in Racket. I also noticed that the Racket community is mostly localized in North America, judging from the peak posting times on the mailing list. This looks strange in today’s Internet-dominated world, but perhaps real-life ties still matter more than we think. Even though the Racket community looks small compared to other languages I have used, it is big and healthy enough to ensure its existence for many years to come. Racket is not the kind of experimental language that is likely to disappear when its inventor moves on to the next project. Overall I am quite happy with Racket as a development language, though I have to add that I haven’t used it for anything mission-critical yet. I plan to continue improving and completing my Racket implementation of Mosaic, and move it to Typed Racket as much as possible. But I am not ready to abandon Python as my workhorse for computational science, there are simply too many good libraries in the scientific Python ecosystem that are important for working efficiently. Altmetrics is one of the hotly debated topics in the Open Science movement today. In summary, the idea is that traditional bibliometric measures (citation counts, impact factors, h factors, …) are too limited because they miss all the scientific activity that happens outside of the traditional journals. That includes the production of scientific contributions that are not traditional papers (i.e. datasets, software, blog posts, etc.) and the references to scientific contributions that are not in the citation list of a traditional paper (blogs, social networks, etc.). Note that the altmetrics manifesto describes altmetrics as a tool to help find scientists publications worth reading. I find it hard to believe that its authors have not thought of applications in evaluation of researchers and institutions, which will inevitably happen if altmetrics ever takes off. At first sight, altmetrics appear as an evident “update” to traditional bibliometry. It sounds pretty obvious that, as scientific communication moves on to new media and finds new forms of expressions, bibliometry should adapt. On the other hand, bibliometry is considered a more less necessary evil by most scientists. Many deplore today’s “publish or perish” culture and correctly observe that it is harmful to science in the long term, giving more importance to the marketing of research studies than to their careful design and meticulous execution. I haven’t yet seen any discussion of this aspect in the context of altmetrics, so I’d like to start such a discussion with this post. First of all, why is bibliometry so popular, and why is it harmful in the long run? Second, how will this change if and when altmetrics are adopted by the scientific community? Bibliometry provides measures of scientific activity that have two important advantages: they are objective, based on data that anyone can check in principle, and they can be evaluated by anyone, even by a computer, without any need to understand the contents of scientific papers. On the downside, those measures can only indirectly represent scientific quality precisely because they ignore the contents. Bibliometry makes the fundamental assumption that the way specific articles are received by the scientific community can be used as a proxy for quality. That assumption is, of course, wrong, and that’s how bibliometry ultimately harms the progress of science. The techniques that people use to improve their bibliometrical scores without contributing to scientific progress are well known: dilution of content (more articles with less content per article), dilution of authorship (agreements between scientists to add each others’ names to their works), marketing campaigns for getting more citations, application of a single technique to lots of very similar applications even if that adds no insight whatsoever. Altmetrics will cause the same techniques to be applied to datasets and software. For example, I expect scientific software developers to take Open Source libraries and re-publish them with small modifications under a new name, in order to have their name attached to them. Unless we come up with better techniques for software installation and deployment, this will probably make the management of scientific software a bit more complicated because we will have to deal with lots of small libraries. That’s a technical problem that can and should be solved with a technical solution. However, these most direct and most discussed negative consequences of bibliometry are not the only ones and perhaps not the worst. The replacement of expert judgement by majority vote, which is the basis of bibliometry, also in its altmetrics incarnation, leads to a phenomenon which I will call “scientiic bubbles” in analogy to market bubbles in economy. A market bubble occurs if the price of a good is determined not by the people who buy it to satisfy some need, but by traders and speculators who try to estimate the future price of the good and make a profit from a rise or fall relative to the current price. In science, the “client” whose “need” is fulfilled by a scientific study is mainly future science, plus in the case of applied research engineering and product development. The role of traders and speculators is taken by referees and journal editors. A scientific bubble is a fashionable topic that many people work on not because of its scientific interest but because of the chance it provides to get a highly visible publication. Like market bubbles, scientific bubbles eventually explode when people realize that the once fashionable topic was a dead end. But before exploding, a bubble has wasted much money and intellectual energy. It may also have blocked alternative and ultimately more fruitful research projects that were refused funding because they were in contradiction with the dominating fashionable point of view. My prediction is that altmetrics will make bubbles more numerous and more severe. One reason is the wider basis of sources from which references are counted. In today’s citation-based bibliometry, citations come from articles that went through some journal’s peer-reviewing process. No matter how imperfect peer review is, it does sort out most of the unfounded and obviously wrong contributions. To get a paper published in a journal whose citations count, you need a minimum of scientific competence. In contrast, anyone can publish an opinion on Twitter or Facebook. Since for any given topic the number of experts is much smaller than the number of people with just some interest, a wider basis for judgement automatically means less competence on average. As a consequence, high altmetrics scores are best obtained by writing articles that appeal to the masses who can understand what the work is about but not judge if it is well-founded. Another reason why altmetrics will contribute to bubbles is the positive feedback loop created by people reading and citing publications because they are already widely read and cited. That effect is dampened in traditional bibliometry because of the slowness of the publishing and citation mechanism. My main argument ends here, but I will try to anticipate some criticisms and reply to them immediately. One objection I expect is that the analysis of citation graphs can be used to assign a kind of reputation to each source and weight references by this reputation. That is the principle of Google’s famous PageRank algorithm. However, any analysis of the citation graph suffers from the same fundamental problem as bibliometry itself: a method that only looks at relations between publications but not at their contents can’t distinguish a gem from a shiny bubble. There will be reputation bubbles just like there are topic bubbles. No purely quantitative analysis can ever make a statement about quality. The situation is similar to mathematical formalisms, with citation graph analysis taking the role of formal proof and scientific quality the role of truth in Gödel’s incompleteness theorem. Another likely criticism is that the concept of the scientific bubble is dubious. Many paths of scientific explorations have turned out to be failures, but no one could possibly have predicted this in the beginning. In fact, many ultimately successful strategies have initially been criticized as hopeless. Moreover, exploration of a wrong path can still lead to scientific progress, once the mistake has been understood. How can one distinguish promising but ultimately wrong ideas from bubbles? The borderline is indeed fuzzy, but that doesn’t mean that the concept of a bubble is useless. It’s the same for market bubbles, which exist but are less severe when a good is traded both for consumption and for speculation. My point is that the bubble phenomenon exists and is detrimental to scientific progress.